In the early 2010 I bought my first Canon PIXMA MP250 printer specifically because it has a 3 in 1 spec and I just love it. 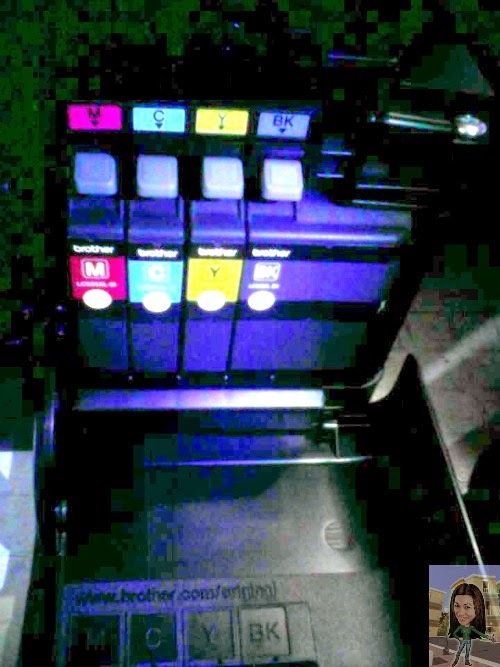 The problem with my old unit was that when I convert it to a CISS(Continuous Ink Supply System)in order to enjoy immense savings on printer ink many problems arise just like it cannot print properly(paper jam), color print quality is just disappointing, very bad performance, etc. I payed a lot for it still the same problem occurred, wasted much of my time and money for its repair and maintenance alone. I decide to purchase a new printer, my first choice is to buy EPSON L110. 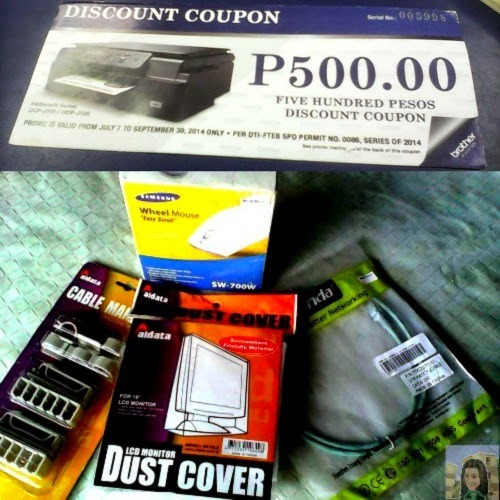 A printer that is already converted into a CISS, so it yields superb savings for only PHp4,995. But I have doubts with this product when I saw it personally. Yes, the unit is a space saver, the problem is that (1) It cannot print different type of papers. (2) It is a single function printer, and I am looking for the same function I have with my previous unit. And lastly, (3) It only has a 1 year warranty. Another EPSON brand that has a 3 in 1 spec printer, EPSON L210. So like it, it has also a space saver design, an all-in-one printer, already converted to CISS and it has a 1 year warranty. Only problem is that it is too expensive for me, the price rate is PHp7,795. I've budgeted my money, I need to buy lower than PHp7K+. So I look for another brand that can perfectly satisfy me. Bought it at MicroValley-Gaisano South Mall Branch, a bit bulky but with printer, scanner and copier this brand is seem indestructible for only PHp4,950 and take note it has a 2 YEAR WARRANTY. Isn't it great? 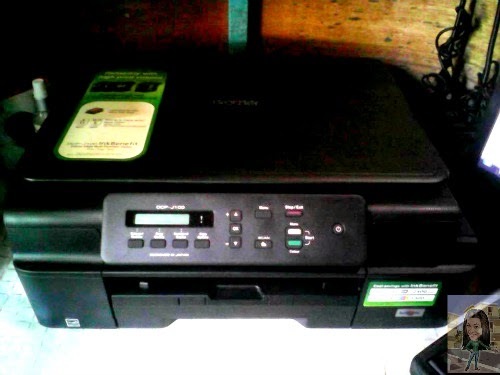 A printer for all in one use(copier, scanner and ink jet printer), this can be a quality and value for a budget mother like me. BROTHER DCP-J100 is very affordable. 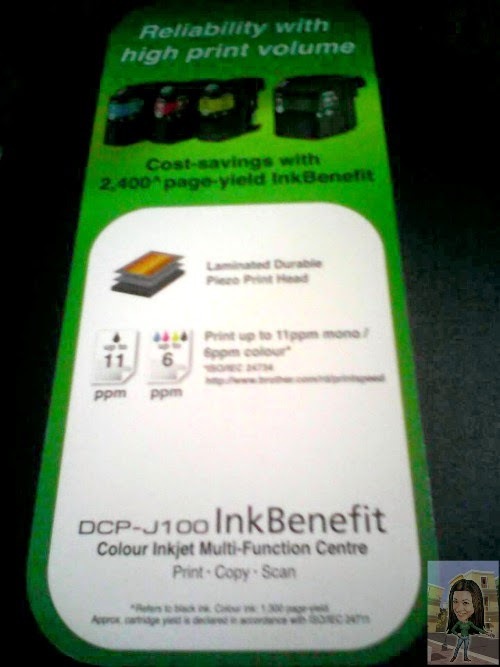 It has a low ink cost and deliver a super high page-yield InkBenefit cartridges, this is like your printer is already converted into a CISS. It has a Reduce Ink wastage with an individual ink cartridge system that allows you to replace only the empty cartridge. Refillable ink cost only PHp390 each. Approximately the cartridge yield is declared in accordance with ISO/IEC 24711. Just to see personally the sample print of this product, I myself tried and print a colored picture using an ordinary type of a paper and this is the result. Not bad and as of now I am very satisfied with the printer I bought. Inside the box it has an installer CD guide, a manual and all supplies and accessories for the printer. In my case regarding the installation process. I have a defective CD/ROM in my computer so I have to look for a link that will permit me to download the DCP-J100 Installer. And thanks so much to BROTHER for helping me out during the installations. 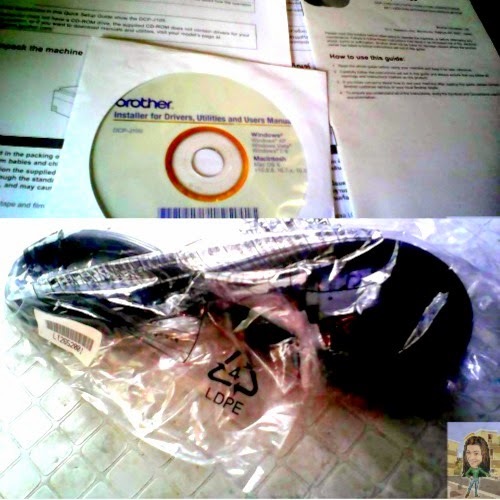 By the way, Brother Printer support SAVE Mother Earth advocacy called the BROTHER EARTH. When you see ENERGY STAR® means that this is to work together to take care our planet by helping conserve energy and reduce our electricity bills at home and work environment by having a SLEEP MODE Function it automatically reduces our energy/power consumption, that only powers up when you need to print. 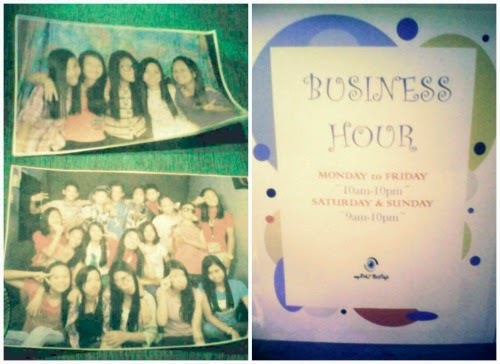 A special thanks to MicroValley for giving me a PHp500 Discount coupon + a gift. Meaning I only pay PHp4,450. Great savings indeed! If you need an all in one printer right this minute, either for work or for home that is affordable and includes cost and time saving features choose BROTHER DCP-J100 Multifunction Printer. Hi, I'm planning to buy a new printer soon! So this post is so timely! :) Yung Canon Pixma MX397 sana ang bibilin ko, after maubos yung orig ink saka ko ipa CISS, but I read horror stories about ciss canon printers, addition yung sayo. Can this copy in legal size/long bond papers? Hello Monique, I use short bond paper here for my sample. But you can use any type and size of a paper in this DCP-J100 Printer. Thanks so much. I'm using HP 3-in-1 color and it's good until now. This Brother brand is excellent too I think because of it's multi-function feature. This is one heavy duty printer. It can really do a lot of printing at high resolution quality. I am planning to buy one soon din! I'm just aiming for a scanner though, pero a printer would come in handy na rin. I'll buy if I have a business na. :) This is a great review. Thanks for this. I would like to inquire if the scan and copier supports folio/long (11x13) and legal (11x14) size paper? Hoping for your reply. I'm about to buy this item. Scanner Resolution Up to 19200 × 19200 dpi (interpolated); Up to 1200 × 2400 dpi (optical). For copier it has enhancement to adjust sizes. Hi this is Karen. 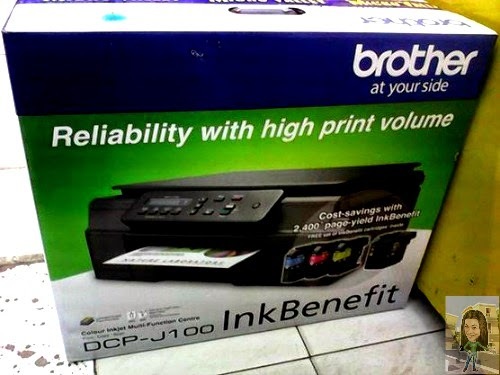 We have this printer brother dcp j100. I tried to copy a full page legal paper but it can't fit on the lcd screen. So, we're not really able to copy, scan and even to reduce the page since it can't fit the lcd screen. does the legal copy here means that there is suppose to be an inch difference on each side for it to fit? so we really can't copy full page legal copy? if it's possible then how? Same problem here. I cannot copy LONG SIZE BOND PAPER. ok. The (Black) is the colour of the printer itself. I Read the article and it becomes clear that the printer is a colour printer. Great review by the way. The most important component is Quality Inkjet Refills because even if you have empty cartridges at least you can give them a new lease of life by refilling inkjet cartridges.